Wine tasting in Tuscany. Island hopping in Greece. Getting lost in the romance of Paris. You are ready to explore your dream destination, but lack of local insight and time-consuming planning is limiting you from experiencing the vacation of your dreams. You don't have the time to sift through online travel resources and review websites, only to still be unsure of what travel advice is authentic and helpful. You will gain access to preferred rates and exclusive travel partners otherwise inaccessible if you were to plan your own travel experience. You are craving authentic, off-the-beaten-path travel. Destination scouting ensures you uncover hidden gems and local secrets for a truly authentic experience. You will never be on your own... unless that's what you want! You will gain access to 24/7 travel concierge services prior to and throughout your travel process. 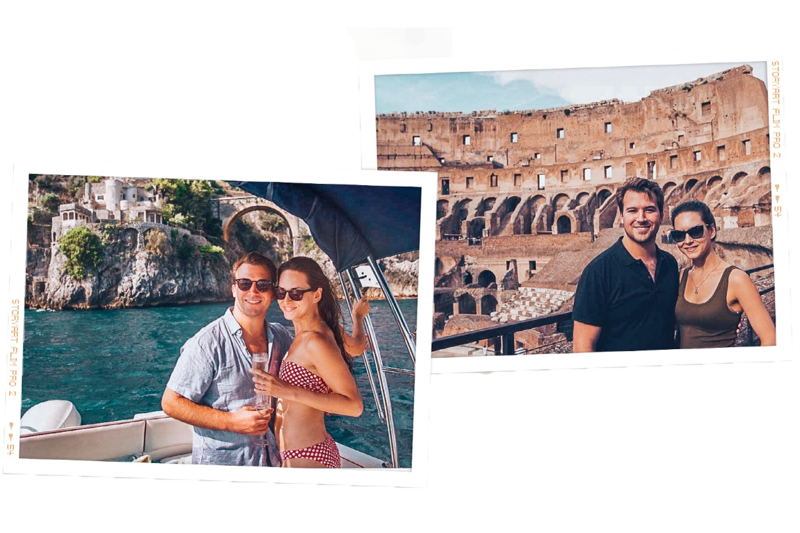 "We were able to relax and enjoy our honeymoon knowing that everything was planned for us." We only had 2 weeks to travel and 6 cities in France and Italy we wanted to visit. Lexi saved us a ton of time on research, recommending the best areas to stay in each city, and how to get around in Europe (which can be very different depending on where you’re going). Lexi was very always there if we had any issues, providing support and answering all of our questions, even while we were in Europe. We’d never used a travel service before, but we felt very confident about everything that had been planned for us. The Destination Designer specializes in Mediterranean travel, including sought-after destinations, such as Italy, Greek Isles, Croatia, and Malta. If you are looking for an authentic European experience, look no further than France, Germany, Iceland, Spain and the Netherlands. Immerse yourself in the rich culture and flavor of Asia with custom travel experiences in Bali, Thailand, South Korea and Vietnam. Connect with the energy and vitality of Africa and the Middle East. We offer custom travel planning for Ghana and Morocco. You'll never run out of adventure travel inspiration with dynamic destinations such as Canada, Mexico and Peru.
" At first I was very anxious with so many options to choose from, but Lexi was a true lifesaver." Lexi helped my husband and I plan our trip to Greece in the fall. This is a trip my husband and I have been talking about taking for two years and finally decided to go for it. 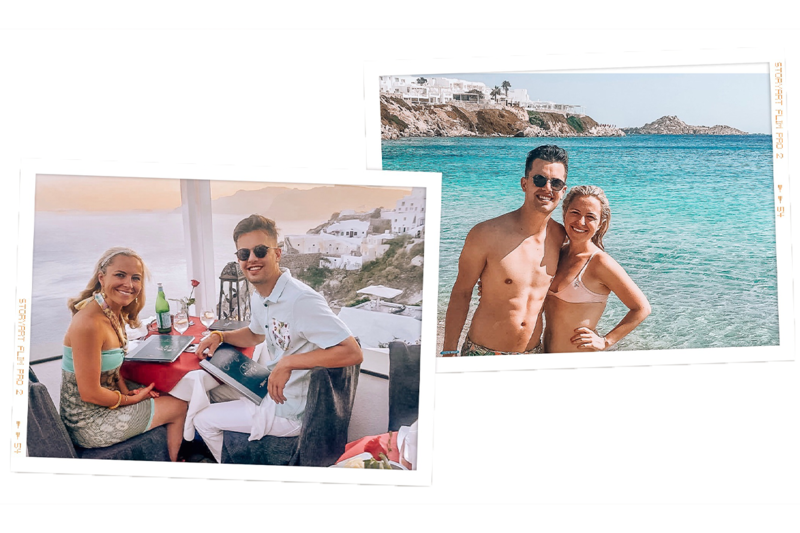 We knew we wanted to go to a few of the different islands but didn't know the best time of year to go, where to stay or eat, or what to do for activities. Lexi essentially held our hand through the planning process. Lexi really listened to our wants and needs and made sure she understood exactly where and what it was we wanted to see and accomplish on our trip. After I told Lexi a brief overview of what we were thinking for our trip, within an hour, she emailed me with an incredibly thorough list of different islands (and pros and cons!) hotels, restaurants, activities, beaches, and shopping! "Everything was perfect! We never had to figure out what we were doing that day." Lexi just planned a trip to Italy for me and three other girlfriends. Everything was planned ahead of time. Every restaurant was amazing, never a bad meal. 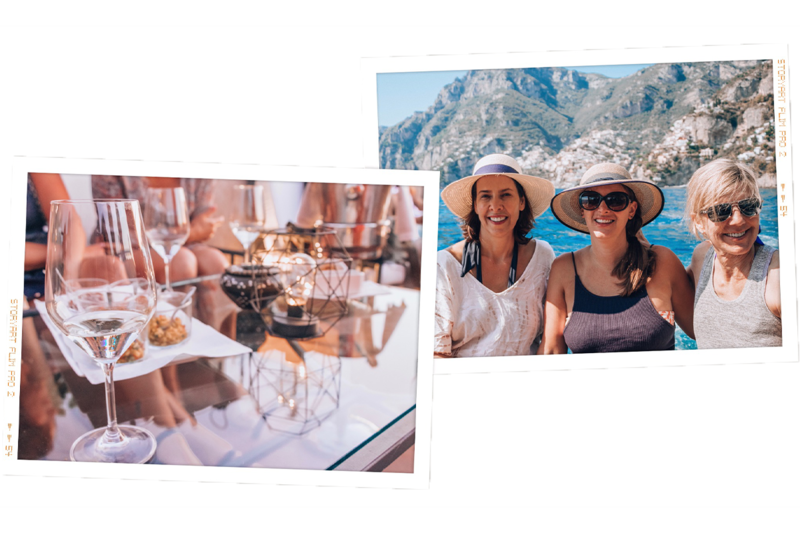 Some highlights were a rooftop cooking class in Rome, a visit to a family winery on our way to the Amalfi Coast, a private boating outing, and much more. After having our entire trip planned out for us, and having everything be so perfect, I would love for Lexi to plan all my trips going forward.